I started doing these weekly entries for many reasons. I wanted to let people know what the pregnancy experience is like for people who don’t have the picture perfect OB history. For someone who is a new mom or planning on having a baby, I wanted to share my story. I wanted to document this process to see how far I’ve come, and also show my Rainbow Baby what her parents went through to get her here. 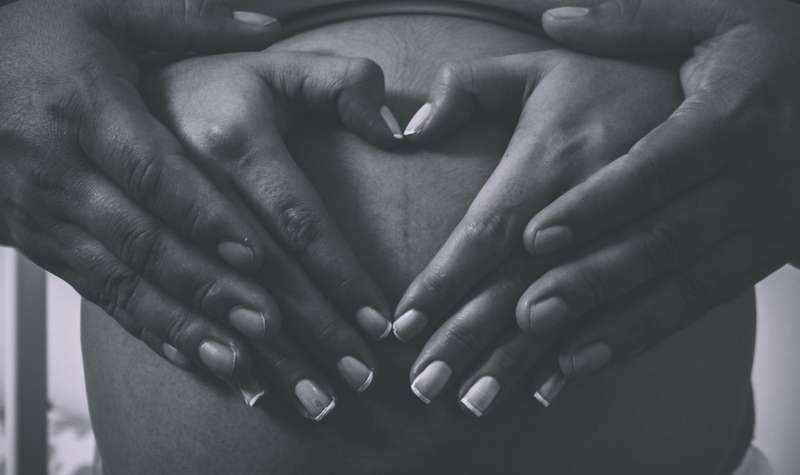 I wanted readers to know that they aren’t alone, and to know what to do if faced with certain prenatal or relationship obstacles. This journey will indeed be different for everyone but for everyone, it is a blessing from above…but I will speak for myself because you never know what people are going through. After two very frightening pre-term pregnancies that sadly left me to mourn two baby boys; I decided that I’d make this experience something to remember if I had gotten past my “fragile period” of 24 weeks. Now at 37 weeks and medically declared as full term, I don’t want to say I’m taking any of this for granted — but in all seriousness — it’s HARD. My body is doing some uncomfortable things, stretch marks, itching, rib pain, sleepless nights due to discomfort, and backaches have been taking a toll. All of which have no cures they are just apart of the process. When will she get here?!? I’ve had two scares in two weeks, both of which were just the result of dehydration and led to me being yelled at by my family and my doctors. My water intake admittedly could be a lot better, but let’s be real… the required amount of water your body needs while pregnant is enough for a camel. I’ve since stopped fighting my water protest because contractions and Braxton Hicks are real and my baby needs its so, I gotta do what I gotta do! Every now and then I glance over at this empty bassinet and I get a little choked up. Nine months later I’m still in somewhat a stage of denial. I know things are happening whether I and her daddy are ready or not. It’s just…ya know… all so surreal! I can’t wait to kiss those chubby cheeks of hers and give her, her first bath. I’ll probably still be crying at all her first literally for like 21 years…don’t judge me! I Woke Up Like This … Tortoise! What has this experience been like for me overall? This has all been a rollercoaster! My emotions have gone haywire. My body is no longer my own. Trying to maintain a healthy relationship and give up my independence for a while because you literally can’t do certain things for yourself. I’ve been humbled tremendously. Still a process but I know who it’s all for. I’ve gotten closer to friends and family over the course of the nine months. A lot of people have been very supportive and I don’t take that for granted. I had to realize that my pregnancy would be different because it is high risk, so I’d have to make any adjustments and sacrifices early on that “normal” pregnant women may not have to. What have I learned from this process? It can be very scary…not knowing what’s next to come is so hard, but it’s life. I know God hasn’t taken me this far to leave me now. As hard as it is, I try to rest on that no matter the outcome. You realize that people will have their views and opinions on what you should do even before your baby is born, you just have to take it with a grain of salt. People mean well even if they should keep quiet at times. You have to learn what works for you and do just that. Just because your Aunt Carol had a 14-hour labor and worked until she gave birth doesn’t mean you will. It’s your pregnancy your story. Don’t forget that. Thank you for following me through all of this. I may not know you or what you’ve been/going through but I hope something that I’ve shared in these entries has helped you in some way shape or form.